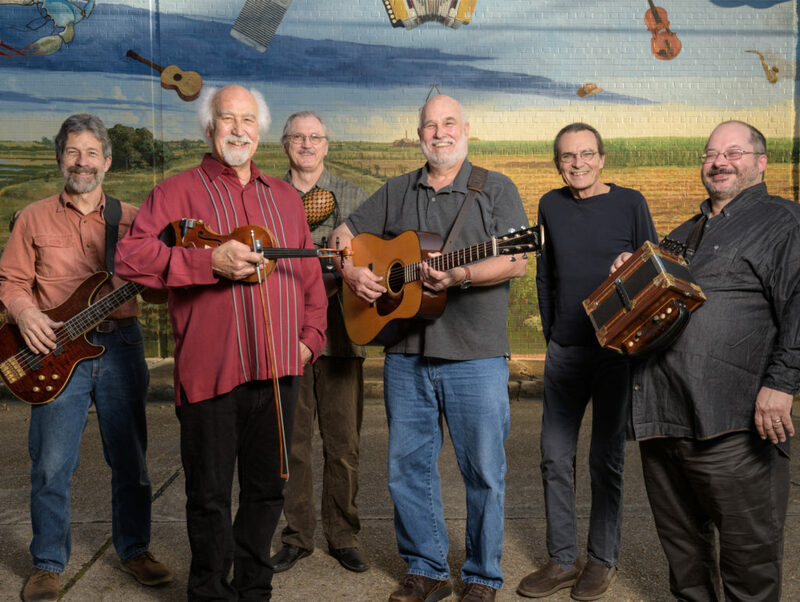 For the past 40 years, BeauSoleil avec Michael Doucet has been making some of the most potent and popular Cajun music on the planet. Born out of the rich Acadian ancestry of its members, and created and driven by bandleader Michael Doucet’s spellbinding fiddle playing and soulful vocals, BeauSoleil is notorious for bringing even the most staid audience to its feet. BeauSoleil’s distinctive sound derives from the distilled spirits of New Orleands jazz, blues rock, folk, swamp pop, Zydeco, country and bluegrass, captivating listeners from the Jazz and Heritage Festival in New Orleans, to Carnegie Hall, then all the way across the pond to Richard Thompson’s Meltdown Festival in England. For their first studio release in four years, and the 25th in their 37-year career, BeauSoleil teamed up with Nashville- based roots music label Compass Records. The band named the new album From Bamako to Carencro, a title that alludes to the cultural and migratory connection between Bamako, in Mali, West Africa, and Louisiana (symbolized in name by the Lafayette, LA. suburb of Carencro), a connection that draws a sonic bloodline back to BeauSoleil’s roots. On the album’s 11 tracks, the band performs with a resounding authenticity all the while bringing a refreshed playfulness to the genre—the fiddle, flat-picked guitar and accordion carry driving melodies over the two-step and waltz dance beats characteristic of their Cajun and Zydeco music, but not without the country, jazz and blues leanings that informed the genre in the 1920s. They channel the godfathers of other music as well by including a Cajun/La La- style reimagining of James Brown’s classic 1962 Live at the Apollo version of “I’ll Go Crazy” and a swing version of John Coltrane’s tune-de-force “Bessie’s Blues.” Guitarist David Doucet even tucks an occasional Lester Flatt-style bluegrass G-run into his highly melodic guitar solos. Since becoming the first Cajun band to win a GRAMMY with L’amour Ou La Folie (Traditional Folk Album – 1998) and then a second Grammy in 2010, Live at the New Orleans Jazz & Heritage Festival, BeauSoleil has garnered many accolades, including twelve GRAMMY nominations, the latest being their 2009 release Alligator Purse. They are regular guests on Garrison Keillor’s National Public Radio show A Prairie Home Companion, where Keillor has dubbed them as “the best Cajun band in the world,” and their music is so integral to the Cajun culture that they have been featured on the New Orleans–based hit HBO program Treme. (Look for an on-camera performance from the band this year during the final season of the show). Critics unanimously agree that it is “bon temps, every time they play,” (New York Times).